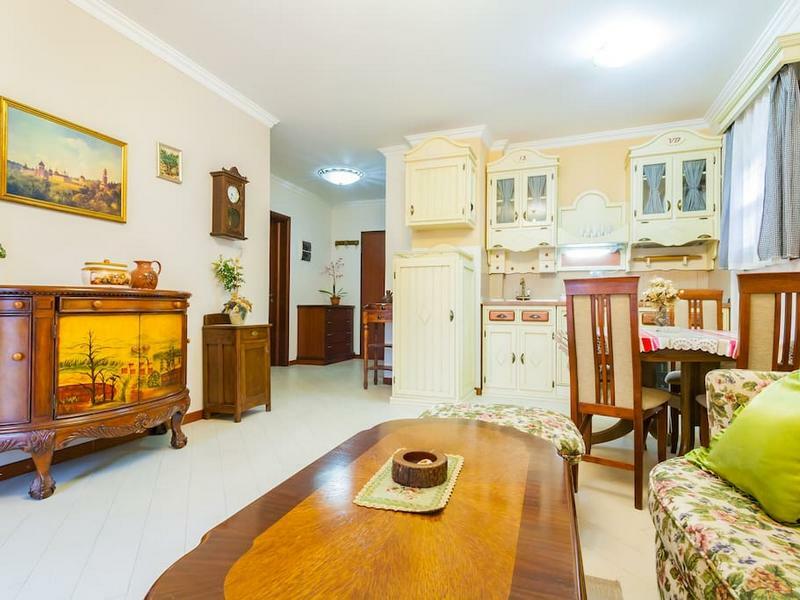 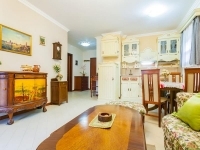 Spacious, quiet, exceptionally comfortable 2 bedroom family apartment in center of Budva. 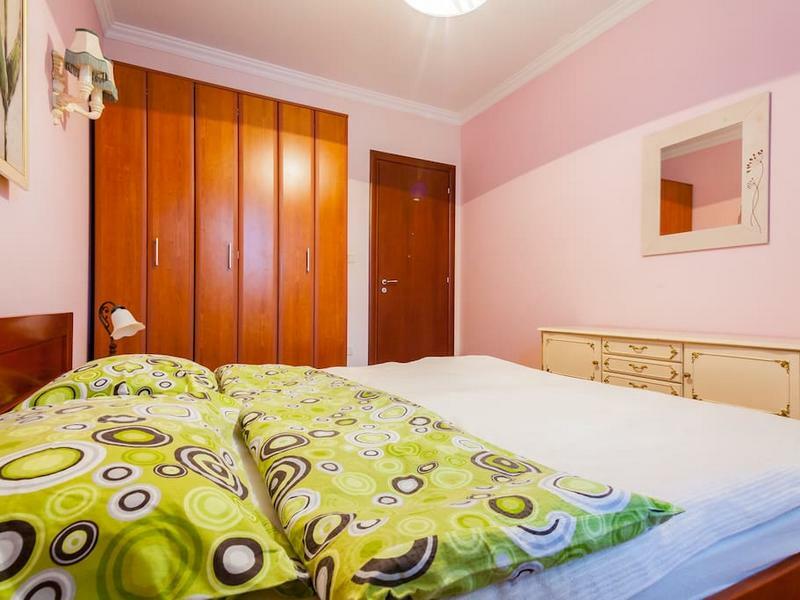 City Center is comfortable 2 bedrooms apartment in heart of Budva, in 5 minutes walking distance from local beaches. 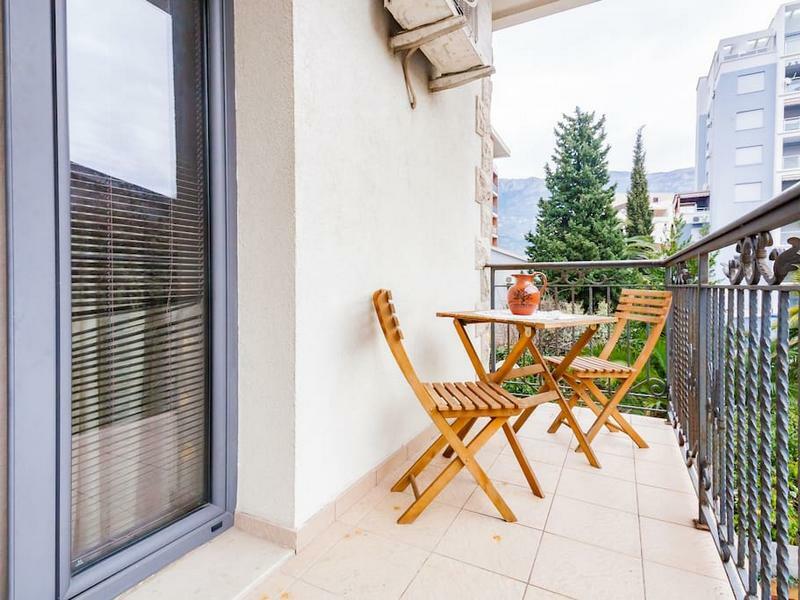 Modernly equipped apartment City Center is located close to historical core of Budva – area with numerous shops, markets, restaurants, cafes, banks… A spacious terrace overlooks mountains and sea, which is reachable by foot in only 5 min. 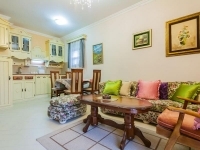 The Old town Budva is in just couple minutes walk from the building. 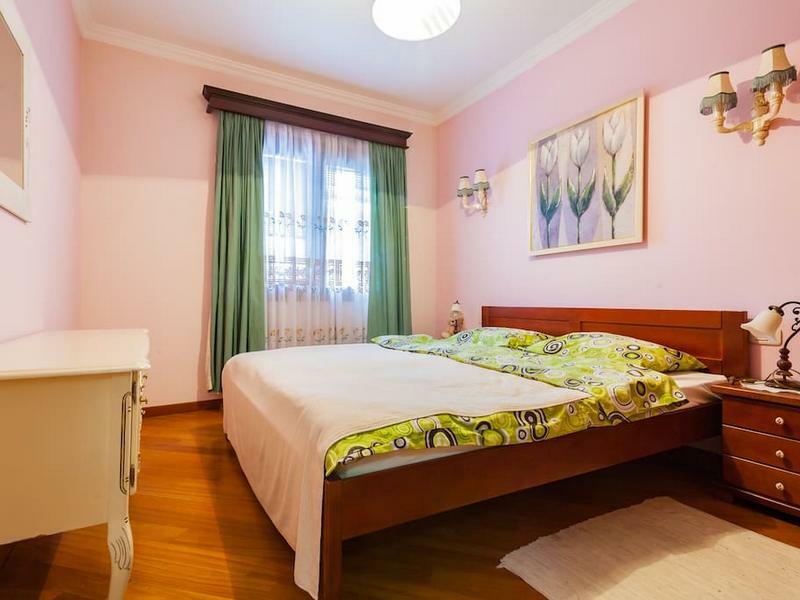 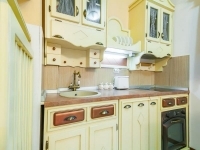 This apartment covers an area of 65m² and it is comfortable for accommodation of 4 persons. 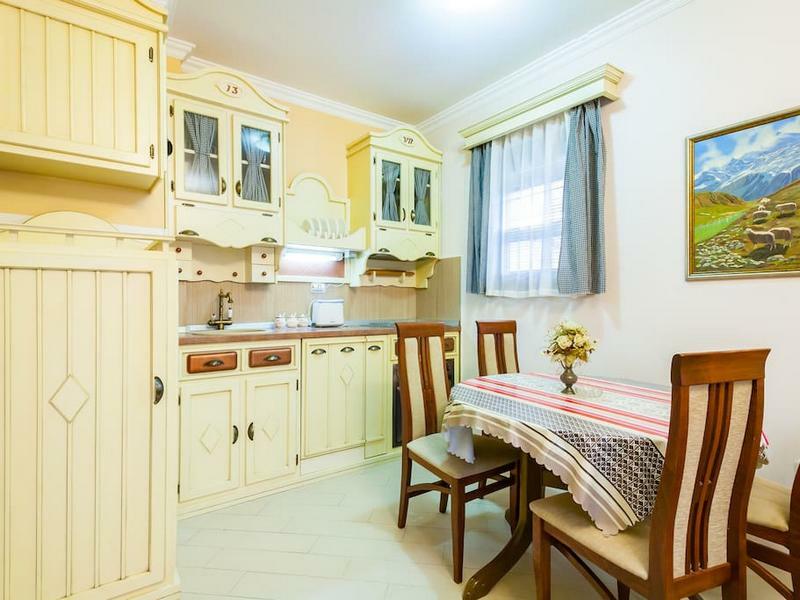 Spacious rooms with modern amenities, equipped with air conditioning, flat screen TV, DVD, Internet, washer machine… Apartment has its own fully equipped kitchen. 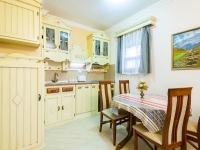 You choose whether to enjoy your own home cooking or try Montenegrin national cuisine in one of the myriad of restaurants on Montenegrin coast. 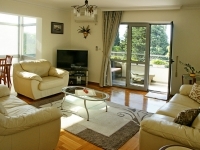 Airport Tivat is 20 minutes from the apartment, while Podgorica is only one hour with the car. 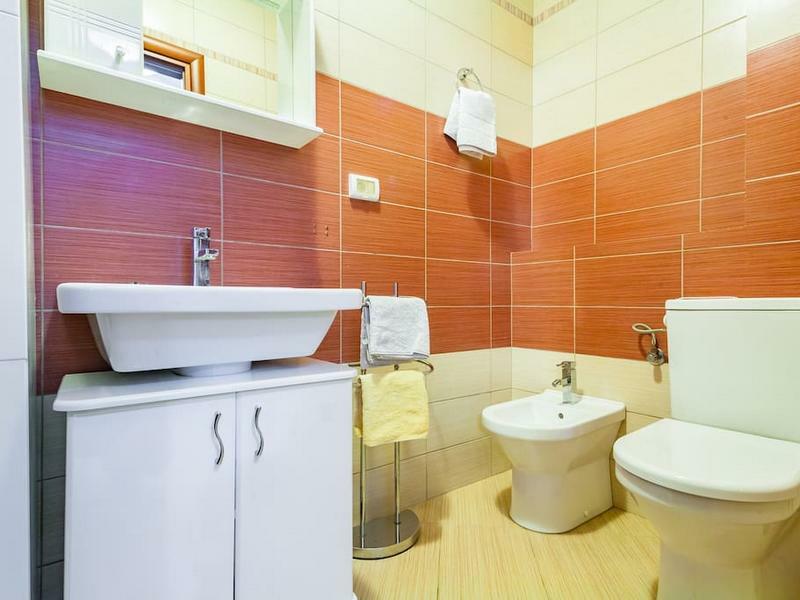 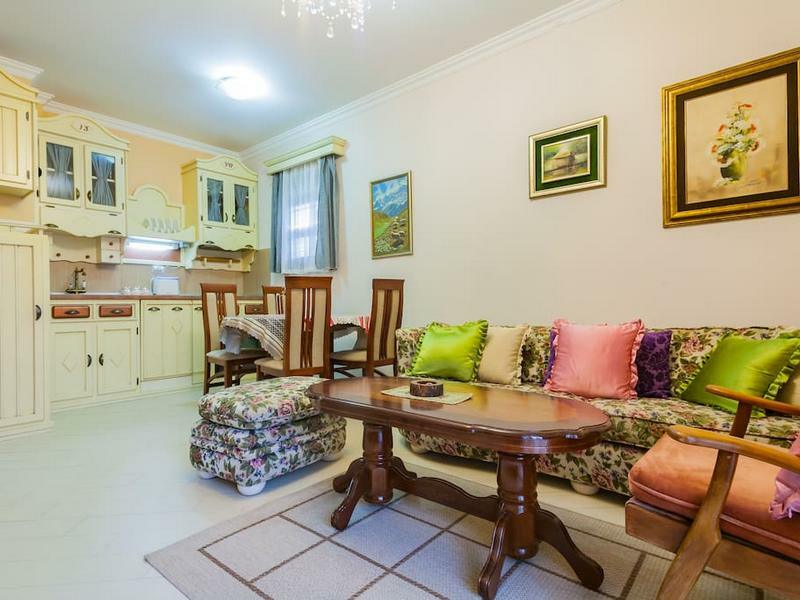 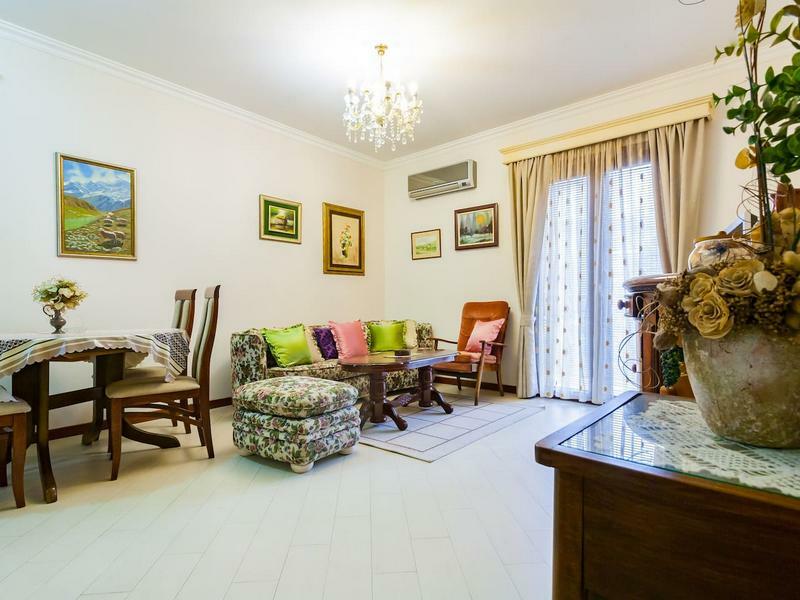 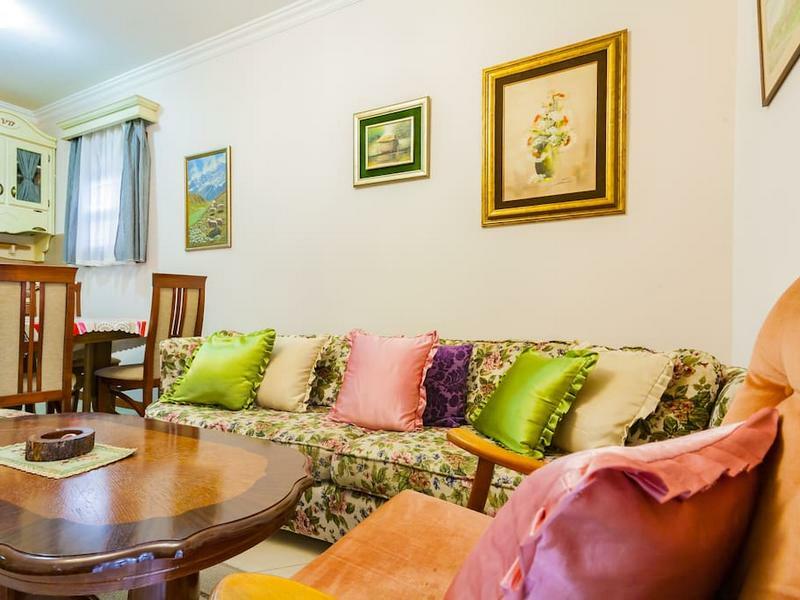 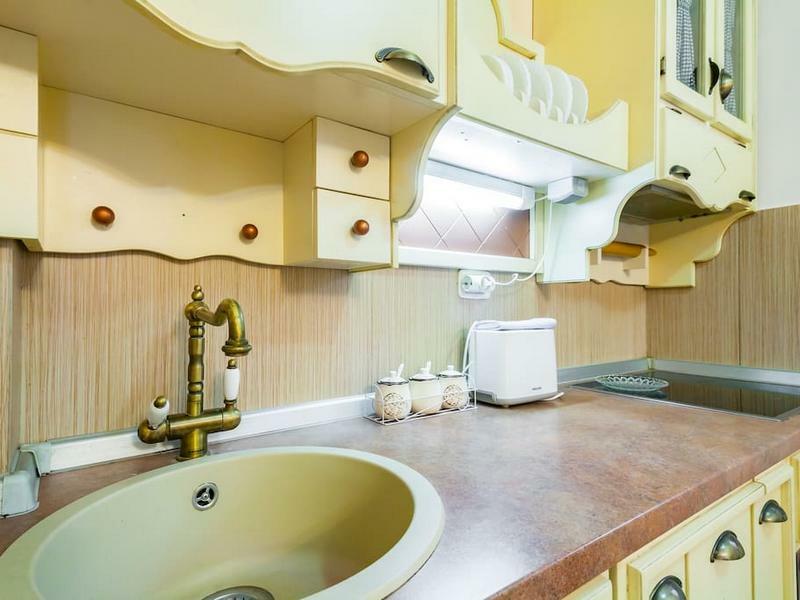 Apartment Facilities: 2 elegant bedrooms, large living room with leather furniture, LCD TV SAT, kitchen (small refrigerator, electric oven, Microwave oven, Convection oven), Air conditioning in living room, Heating, bathroom with washmachine. 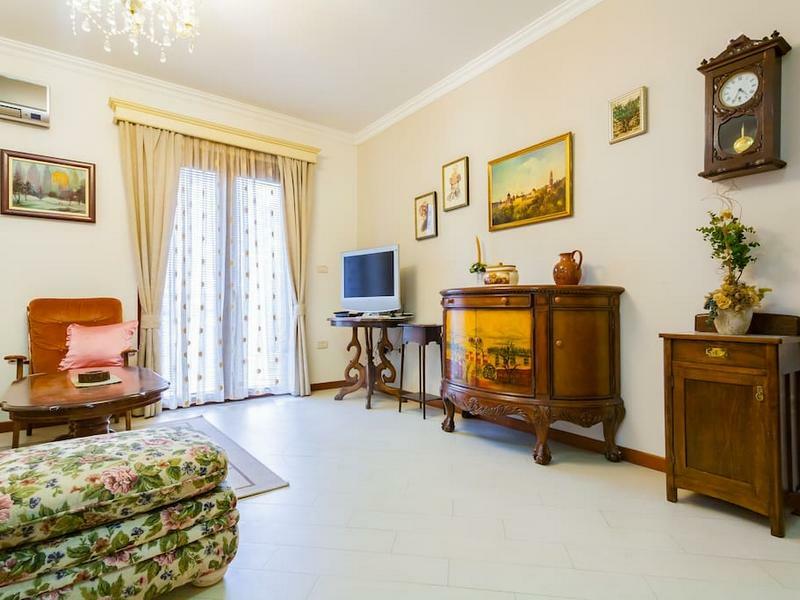 Taxes: EUR 1.30 city tax per person per day is not included. Payment on spot.